Have you bought furniture from Indonesia? Most of us, of course have never done anything like this. 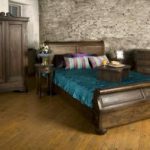 Choosing quality furniture is one thing you should do when furnishing your new home or changing your home furniture that is old and worn out. There are many types of furniture that you can choose in furniture shoots, but what is it really made of? Much of today’s furniture is made out of press board and veneer – wood dust held together by epoxy with a veneer of wood over the glued together saw dust. Jepara furniture is one of the products that can be said to have the best quality in Indonesia, especially in terms of fine woodwork and carving. You can see from the model and the motif that is a product of Jepara furniture which is usually much more complicated than the carving of other areas. Furthermore, you need to know, in the market itself, Jepara furniture product consists of various types such as tables, chairs, cabinets, beds etc, of course with a variety of interesting carvings. For marketing was not only limited in the country, but also able to spread to some of the furniture market in Asia and Europe. We have great pride and love of Jepara furniture products. Jepara is the cultural heartland of fine teak furniture manufacturing in Indonesia. Who does not know the name of the legendary wood of this quality? Teak trees can grow to a height of 30-40 meters. Teak is a type of tree that has leaves that are wide and have a characteristic, with leaves that fall when it dries. Teak tree itself is a type of tree that grows in the tropical rain forest with a temperature between 27-37 degrees. The indoor furniture is needed by every person, every new couples will require indoor furniture to fill the house to be occupied. there are some tips to choose furniture that fits your family’s needs. to choose the furniture we need to know first model of the size of our house we need to know first. if our room spacious enough we could fill it with furniture that is large, and if the house we live in small we have to be smart to choose furniture to match the room so that the house will remain wide.according to our experience, if a little house to be filled with minimalist furniture. Jepara furniture, was always known for its quality to the entire archipelago. Teak furniture products such as beds, guest chairs, dining chairs, dining table, cupboard, sideboard, dresser, leather sofa, sofa, shelves, bedside table etc. even been worldwide up to foreign countries. The house is a primary need of man which is very important. home is where we shelter our stopover, unwind after undergoing a routine, and so forth. however, a house without furniture also can be likened to cook rice without water, that proverb that I made.